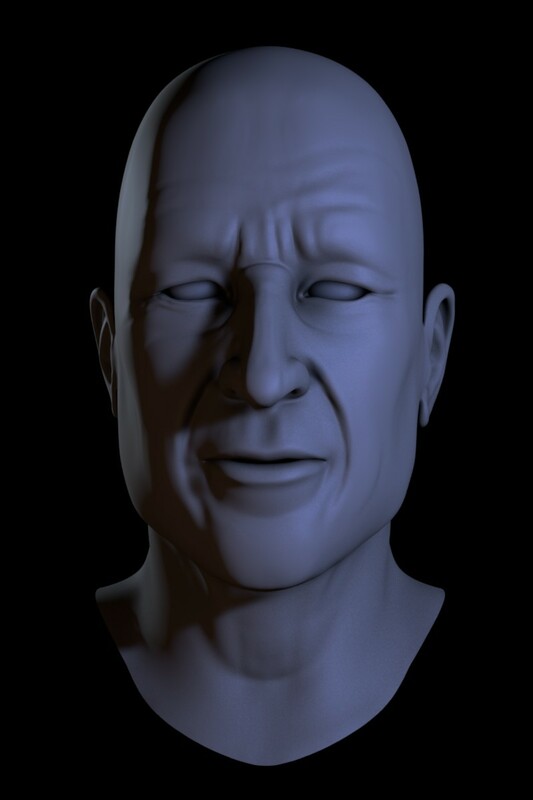 Modelling a head in Blender. This video covers me modelling the head poly-by-poly and then doing some low-detail sculpting to fill out the forms. The basic modelling was done in Blender 2.49, and I switched to JWilkins’ Google summer of code sculpt build for the sculpting, so I could play with the new tools. In particular I think the improved clay brush and the scrape and fill tools are brilliant, and well worth seeking out a build yourself if you’re into sculpting. You can find a recent build at graphicall.org, just look for a JWilkins GSoC build appropriate to your OS. Hopefully I will find time to follow this one up with a timelapse of some higher detail sculpting and maybe texturing at a later date. how long did you take to model that? I think around 2 and a bit hours. nice to c your work nd flow.. can u do the same in little slower, so that we can understand the modelling method in a much better way..
did u see the sintel model.there the topology different.which is the best one. There is no best one. Only topology that works and topology that doesn’t.